Get ready to laugh as Names From A Hat Improv takes the stage. 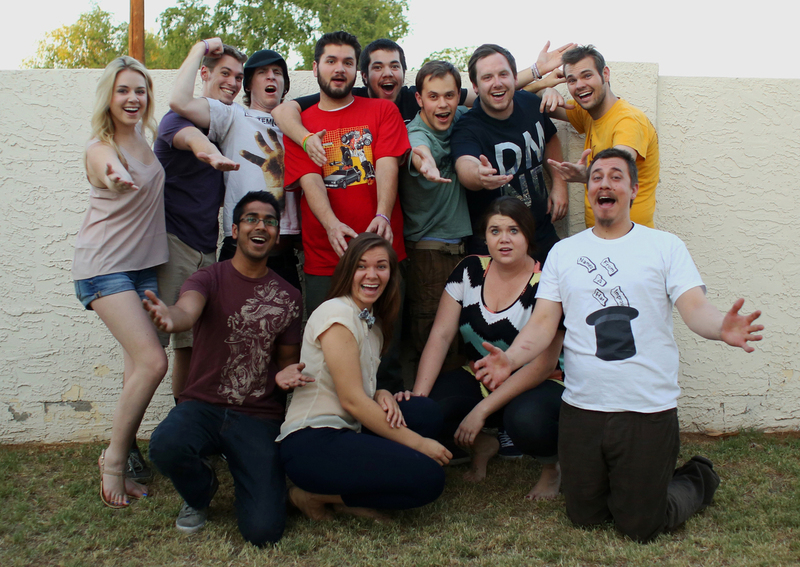 Names From A Hat Improv is a comedy troupe based in Mesa. They are ready to get you howling from the bottom of your belly. Performances will run through May on Sundays at 7 p.m. in the second floor south studios at One East Main Street in Mesa. 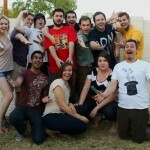 To learn more about Names From A Hat Improv and their shows, visit www.MesaArtsCenter.com. Take part in the Valley's only summer race series that has five races throughout the months of the summer including four 5Ks and one four-mile race on the 4th of July. Tickets range from $13-$20 per race for adults or $51-$71 to purchase the entire series depending on membership and time of registration. There is also pricing for children. 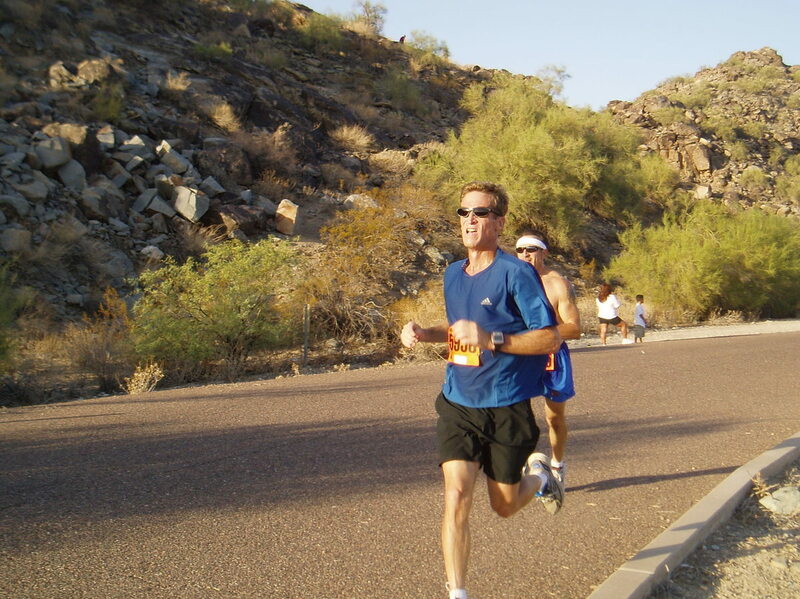 The first race of the Series #1 Riparian Preserve takes place at 6:30 a.m. on May 23 at 2757 East Guadalupe Road in Gilbert. 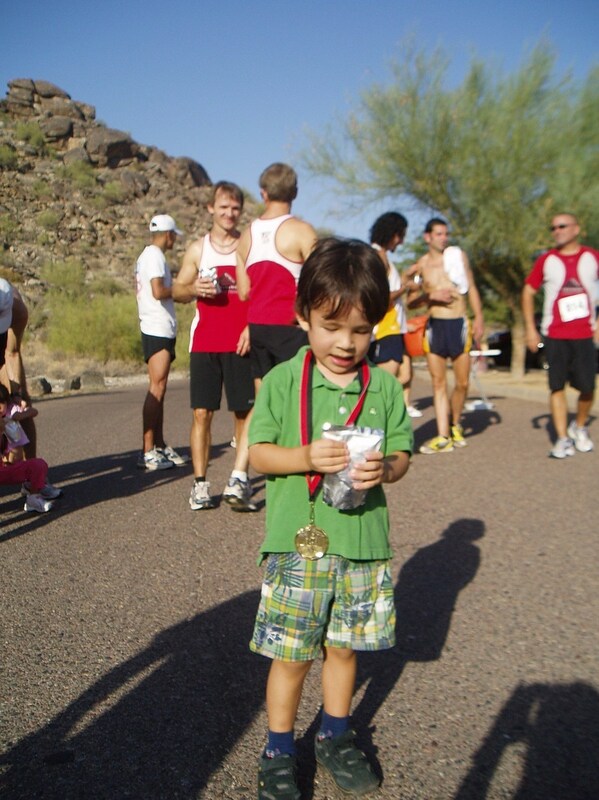 The other races are scheduled as follows: #2 will be on June 14 at Reach 11 Park in Phoenix, #3 on July 4 at Rio Vista Park in Peoria, #4 on July 18 at Kiwanis Park in Tempe, and #5 will be on August 9 at South Mountain Park in Phoenix. 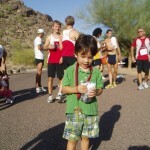 To learn more about The Summer Series, visit www.ArizonaRoadRacers.com or call 602.684.1496. Cameron Mackintosh brings his new production of Andrew Lloyd Webber's world-famous musical, Phantom of the Opera. This production includes new scenic design by Paul Brown, Tony Award-winning lighting design by Paule Constable, and Tony Award-winning costume design by Maria Björnson. There will be exhilarating new special effects on stage and of course, the iconic chandelier will be there in full swing (pun intended). The cast and orchestra of 52 will perform the classics, including “All I Ask of You” and “Music of the Night.” Phantom of the Opera runs from May 27 to June 7 at ASU Gammage located at 1200 South Forest Avenue in Tempe near the corner of University Drive and South Mill Avenue. To learn more about Phantom of the Opera, visit www.ASUGammage.com. Jennie Rambo teaches you how to capture the beauty in desert plants using different drawing techniques on paper. The classes will include outdoor sketching at the Riparian Preserve, as well as classroom instruction. Seed pods, flowers and foliage of these desert plants will be the focus of the sketches. How to Draw Desert Plants will run for three Saturdays: May 2, May 9, and May 16t at 1:30 p.m. Classes take place at 775 North Greenfield Road in Gilbert. To learn more about the class, visit www.GilbertAZ.gov. Story Time and Craft Hour are taking place at IKEA Tempe Restaurant and everyone is invited. The event takes place year round, as the Tempe Library Youth Librarian reads to kids of all ages on Tuesdays from 1 to 2 p.m. This month's session will be on May 12 in the IKEA Restaurant. There will also be fun crafts after Story Time. Something to remember: kids (12 & under) eat for FREE on Tuesdays from 11 a.m. to close. IKEA Tempe is located at 2110 West Ikea Way off I-10 and West Warner Road. To learn more about IKEA's events, visit www.Ikea.com. Celebrate the summer season at The Memorial Day Picnic. Parents, alumni, friends, and fans will enjoy a picnic full of hot dogs, beans, salad, and dessert. Then each section of The Academy Drum and Bugle Corps, The Academy Youth Guard, Front Ensemble, and Phenom Sound Sport will perform on stage. The celebration will finish with a full ensemble performance of the 2015 Academy field production. Tickets are $5 per person and available at the event (dinner is included). The Memorial Day Picnic will be held on May 25 from 5 to 8 p.m. at Campo Verde High School, 3870 South Quartz Street in Gilbert. To learn more about the show, visit www.ArizonaAcademy.org. 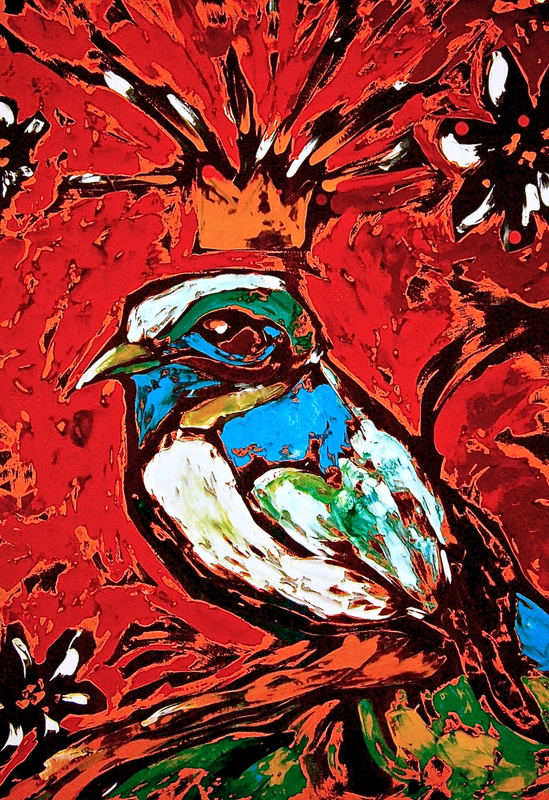 Emily Costello brings her artwork to the Vision Gallery this May. Mezcla, the Spanish word for mixture is an appropriate title for Costello's work, as she focuses on mixing stories with common experiences. Born and raised in a small Arizona copper mining town, Costello's own diverse heritage (Mexican/Czech) has inspired her work in its cultural references and images. Her work has been featured in New Times and BIC, and she received the a Silver Pentaward in Paris for the Hispanic Culture Series Package Design. Costello teaches art classes at Vision Kidz and is a volunteer at Arizona School for the Arts. The exhibit will run from May 8 to July 3 at The Vision Gallery, 10 East Chicago Street off South Arizona Avenue in Chandler. 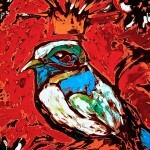 To learn more about Mezcla, visit www.VisionGallery.org. Get on over to the Mesa Convention Center to take part in this two-day tradeshow centered around moms joining together to motivate, inspire, and nurture each other as they all take the unique journey that only a mother can experience. The Mom EXPO will feature demonstrations, music, entertainment, play zones and exhibitors of items for moms of young children from newborns to school age. Expecting moms and new moms can get answers to their questions, seek guidance, and find options that meet their family's needs at the EXPO. The Mom EXPO takes place on May 1 and May 2 at the Mesa Convention Center, 263 North Center Street in Mesa. To learn more about the event, visit www.TheMomExpo.com. The largest peach grower in Arizona, Schnepf Farms, welcomes you to enjoy the organic and pesticide-free deliciousness of various peach goodies. The first peach trees were planted by Ray Schnepf 50 years ago and within two years the farm was shipping peaches all over the country. During the festival, there will be carousel rides, live music, train rides, water activities, peachy arts, crafts booths and hay rides to the orchards. Food in the Peachy Sampling Pavilion will include: peach pies, peach cookies, peach cobbler, peach cinnamon rolls and a peachy pancake breakfast. The Peach Festival takes place May 9 until May 17 at Schnepf Farms, 24810 S Rittenhouse Road in Queen Creek. To learn more about the Festival, visit www.SchnepfFarms.com.